Hey Guys, has anyone else noticed that Smart Lock is broken? When I go into Settings, Security and Location, Smart Lock and type in the password I get the screen below. My smart watch and location unlocks stopped working today (maybe last night). 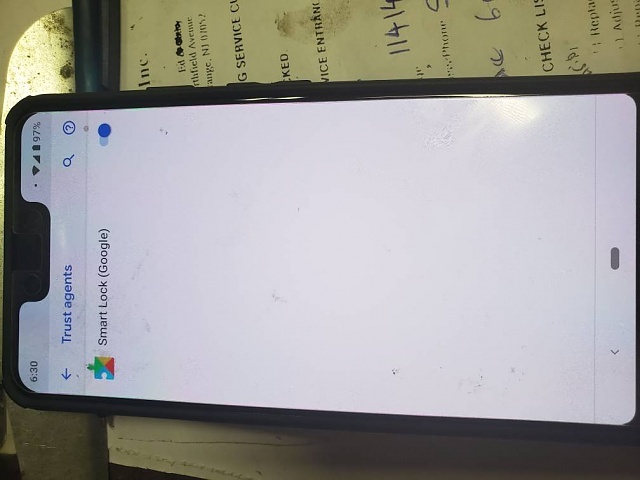 FWIW it shows the correct screen (after entering my password) on my Pixel 2 XL. Mine is working as usual after I put in the pin. Do you have trusted agents enable ? If you do maybe restart your device see it fixes it. scratch trusted agents that has to be enabled. Unenabled and then reabled after a reboot everything was back.... Good idea. mustang7757 and Boogr like this. You are welcome. Had the same issue on blackberry key 2. Very strange one but that solved it for me. Gotta keep the Android Gods happy! Thank you all. Mine did same thing. Working well now. Surely there's a way of seeing texts on lock screen!! Headphones cause the phone to lock itself when changing volume, why does it do this?